Fox poster art for the June release dismissed the Christmas angle, which was known to be bad box office. 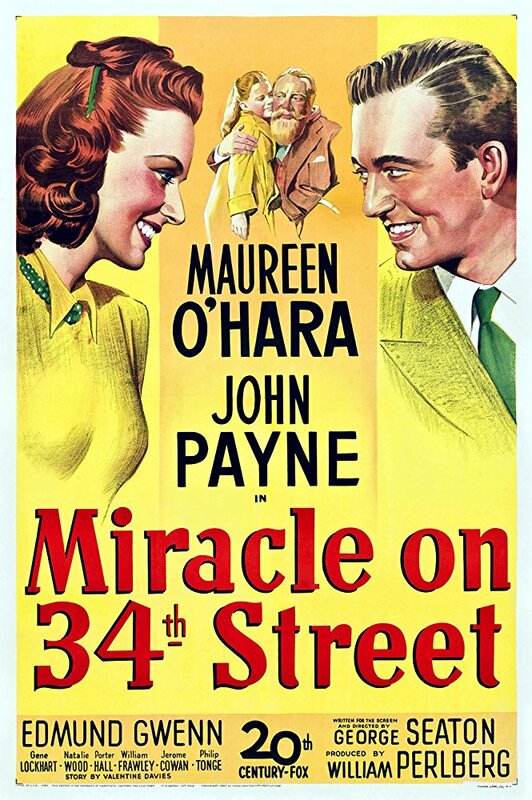 On Thanksgiving morning I was watching a bit of New York City’s Macy’s parade on television, which inspired me to revisit one of my favorite seasonal touchstones, Miracle on 34th Street. 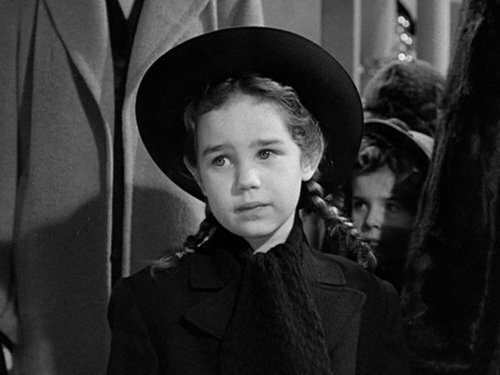 I try to watch it every year, but this time what really hit home was the scene when the woman brings the adopted Dutch girl to see Santa. Lately, I’ve been deep-diving into all things Netherlands—the language, the culture, and especially the history of life in Holland during the Nazi occupation of 1940 to 1945. If you were living in the Netherlands when the Germans marched in on a pleasant May morning, there was a decent chance you would not be living when they were driven out in 1945. If you happened to live in Rotterdam, you could have died in the German bombing of the central city that forced the Dutch surrender four days after the invasion. If you were a Jew, you would have been given a one-way ticket to a concentration camp. If you were deemed an enemy of the state, you might have been shot. If you got caught up in the combat of 1944 and 1945 when the Allies came in, well, either side could have gotten you. If you made it as far as the Hunger Winter just before war’s end, you might have starved. And if you happened to be standing under an Eighth Air Force bomber, well, duck, cover, and pray. When Miracle on 34th Street was released in June 1947, its audience knew all too well the horrors that Holland had weathered. So, when the Dutch girl’s adoptive mother explains to Santa that the girl comes from an orphanage in Rotterdam, it would have sent chills through many. The girl’s parents clearly had died in the war, and the child is emotionally scarred as a result. She has only one wish, and that’s to connect with Sinterklaas, the Dutch St. Nicholas who each November sails by ship from Spain and lands in some obscure part of the Netherlands with his sidekick, Zwarte Piet the Moor, who lugs a sack full of presents and candy for the good children. After stepping ashore like MacArthur in the Philippines, Sinter sets out on a white steed to make his way through the lowlands while poor Piet goes afoot. In many Dutch households, Sinterklaas knocks at the door and comes in for a December 5 sit-down that amounts to a performance review for the children living there. If you’re good, well, you don’t have to fear the bearded man with the lethal staff, scary mitre, and lurking strong-arm man. You get gifts and candy in your wooden shoes placed neatly under the Christmas tree. If you happened to be a bad kid, however—and this is where it gets a little weird—Zwarte Piet manhandles you into the sack and carries you back to Spain. The forlorn look of a refugee from the world’s darkest days. 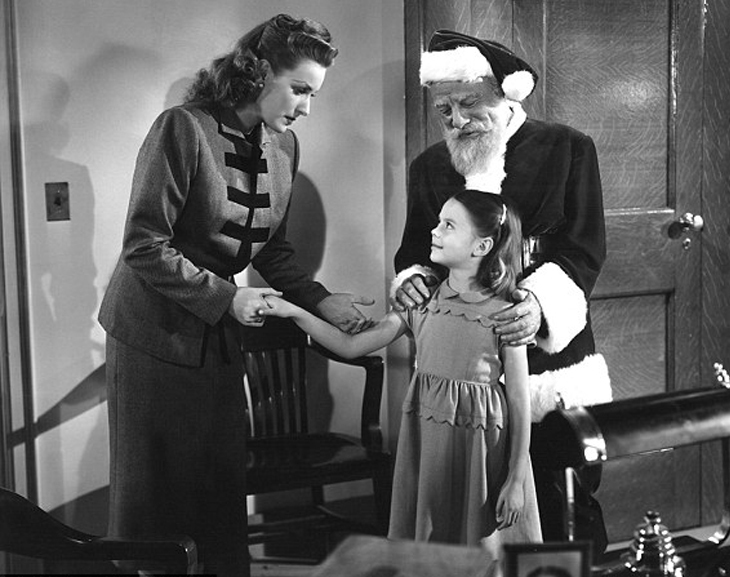 I always loved the Miracle on 34th Street scene between Santa and the Dutch girl for the elemental conflict presented. Her poor caretaker doesn’t want to expose this little war orphan to a department-store Santa who can’t possibly understand her language or needs. I always understood her culture shock at being in New York, U.S.A. What only became clear on this viewing after my Nederland immersion is the aura of death surrounding the child and what motivated her forlorn look when she first interacts with the Macy’s Santa. The girl, who seems to be about seven years old judging by the missing front teeth, lights up when Santa suddenly begins speaking to her in Dutch and she gets the confirmation she needs: He really is Sinterklaas. I have to hand it to Edmund Gwenn for doing as well as he does with what is truly a tough language to learn, even if it’s only a few lines. Marlene Lydon does as well with her Dutch impression as any seven-year-old California girl with missing front teeth possibly could. And at plot point one, when Natalie Wood as little Susan watches the interaction between Santa and the orphan and begins to suspect that Santa is more than a department-store stand-in, it’s the best moment of all—her jaw drops and she experiences real magic for the first time in her very sensible life. 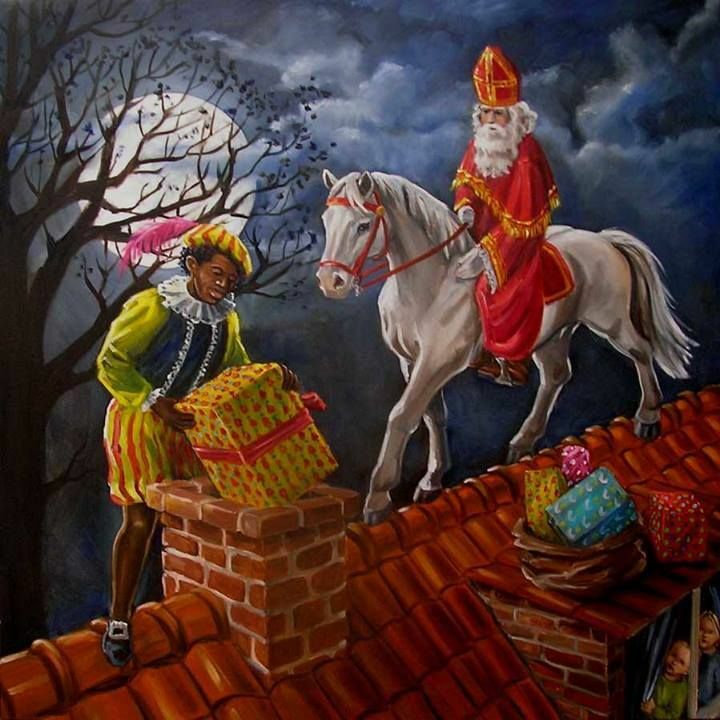 In my experience, horses don’t do the roof any good, but there is Sinterklaas on his white steed, while poor Zwarte Piet ends up with the short end of the stick. In modern appearances Piet is usually played by a Caucasian in blackface, and there has been a formidable social backlash in the Netherlands. O’Hara, Wood, and Gwenn, part of a perfect cast in a perfect film. I’m not breaking new ground here when I go on and on about this perfect film, a triple Oscar winner, I don’t have to tell you, one for Gwenn and two for the writing. I just wanted to take a moment to call out that scene and the all-new effect it had on me after a lifetime of viewings. And if I don’t get another column up in the next little while, Happy Holidays, one and all, from the Netherlands salt mines where I toil, pretty much night and day. P.S. Don’t forget to order Mission: Jimmy Stewart and the Fight for Europe, which has proven to be the perfect holiday gift for active-duty service members, veterans, armchair generals, and lovers of everything Hollywood.